BaconBao & LernHerN /// Online Card, Portfolio ! 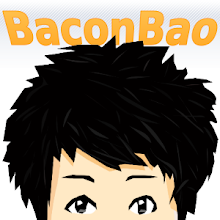 BaconBao and LernHerN /// Online card, Portfolio. 2013/06/08 - 生平第一個原創電繪畫作：Wanna touch the dream. [ 2010/11/20 ] Add "Contact me" and Edit the html style. [ 2010/11/14 ] update LernHerN's CS Config (Kinzu). [ 2010/11/14 ] Add LernHerN's Hardware. [ 2010/11/14 ] Add LernHerN's e-Sports Record. [ 2010/08/29 ] Add LernHerN's HLTV.org & Youtube button. [ 2010/08/18 ] Add LernHerN's CS GUI to "Game Life". [ 2010/08/18 ] "My Wed Design" Update. [ 2010/06/17 ] Open and Test My Online card. [ 2010/06/05 ] Create My Online card.